Guess what, guys? I found another black-owned gas station! 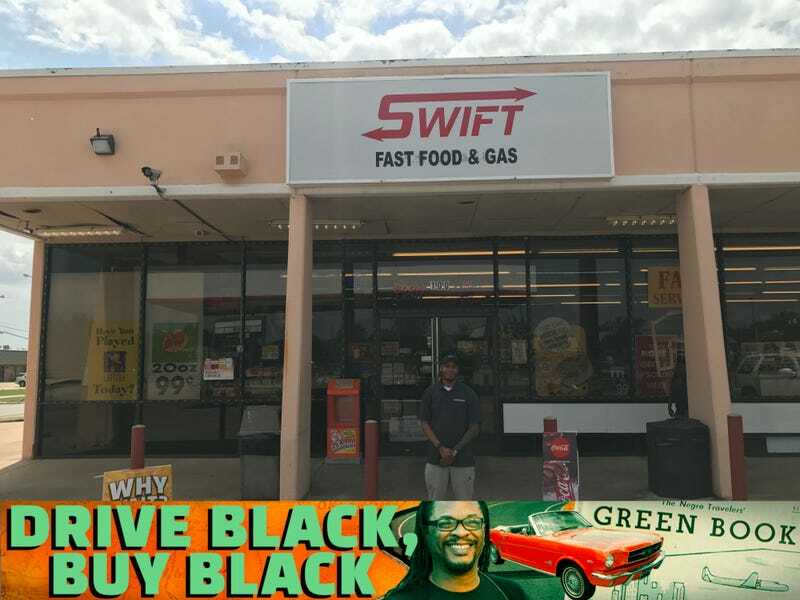 Swift Fast Food & Gas at 801 W. Kearney St. in Mesquite, Texas, is ready for your business. Not only do they have gas like any other gas station, as well as a full convenience store where you can buy all the chips, sodas and candy bars you can carry, but they just opened a new kitchen, so try their new pork-chop basket! So as I was heading out of Texas for the great state of Louisiana, I filled up the 5.0 with $30 worth of premium with Techron. So that brings the total money spent with black businesses to $338.